The 2019 edition of Coachella weekend one is underway in Indio, CA. 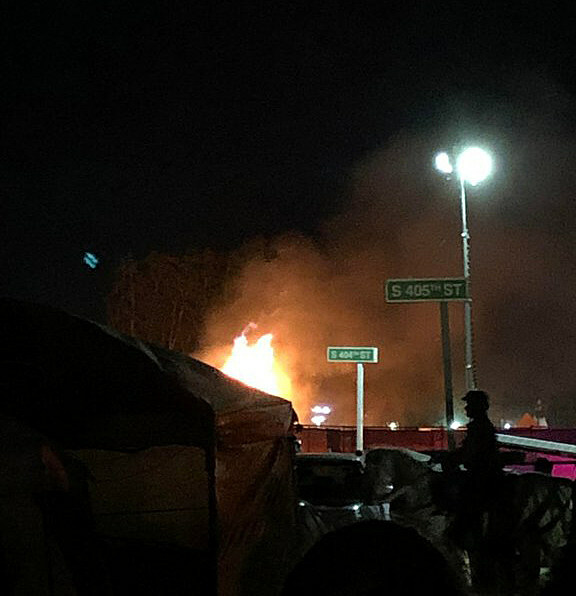 While the music, much of which is streaming live, got off to a good start with a surprise appearance from Cardi B during DJ Snake’s set, as well as sets from Rosalia, Kacey Musgraves, The 1975, Childish Gambino, and more, the campgrounds were a chaotic scene on Friday (4/12) night when a fire erupted in their midst. CAL FIRE and the Riverside County, CA fire department tweeted that two mobile shower unit trailers in the Lot 8 storage area caught fire; one was damaged, and another destroyed. In a statement to ABC13, the Riverside County fire department said that the fire was caused by a “mechanical failure of the heating unit used for water” for the showers. The fire was contained, and thankfully no injuries were reported. Watch video of the scene taken by an attendee below.